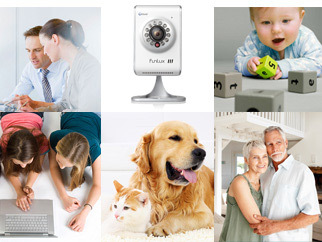 Whether you want to check in on what your pet is doing, see if the kids are safe, or just want the reassurance of knowing that your home is secure, this IP camera is the perfect way to keep an eye on what matters most. The Zsight App and Meshare Web client with P2P function allow you to easily and securely view and upgrade this mini IP camera from virtually anywhere. 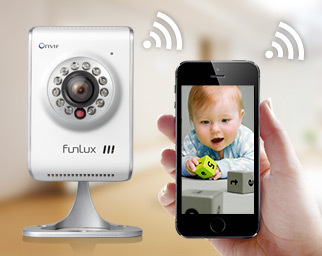 With its small size and easy installation, this video and audio capable IP camera is a discreet and flexible way to check on your home, children, or pets in real time using an Android Smartphone, Apple iPhone or iPad. Smartlink Set up in Minutes. The Smartlink setup has been developed for everyone regardless of technical knowledge. The quick set-up and great feature set are perfect for any one. Setup is a breeze.Plug the camera into power, download the Zsight app, and create a free account. Connect to your Wi-Fi network and name your camera.You’re ready to begin live streaming! 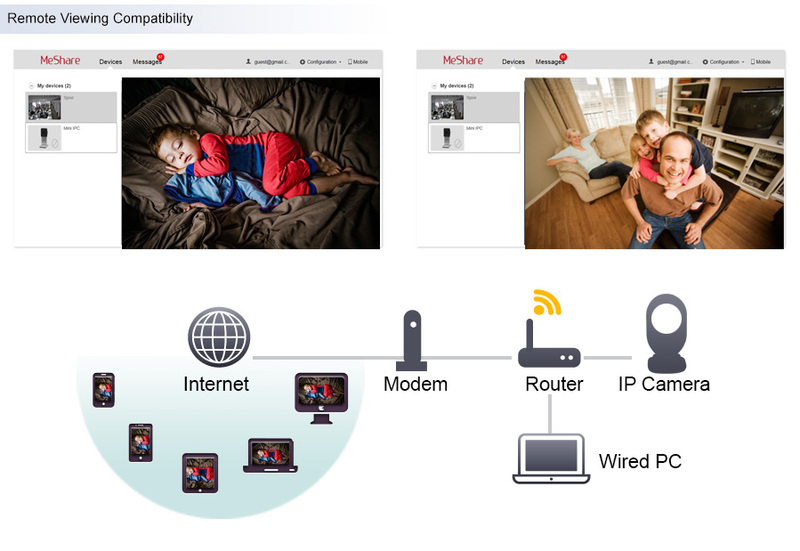 The mini IP camera can work with multiple iOS devices simultaneously via the Zsight App, allowing multiple family members to monitor a child at the same time. Or Listen in from an iPad in Hawaii while your colleagues listens on an iPhone in LA. You can also access the video feed from the Meshare web client (user.meshare.com) on internet explorer. 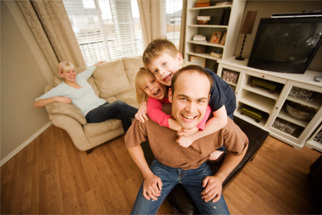 The wifi camera comes equipped with a 2.1mm wide-angle lens, allowing up to 105 degrees of the diagonal viewing angle. This means you can save money by installing fewer cameras while still capturing the entire scene. Local video storage is possible through a micro SD card slot with the ability to record directly onto a micro SD memory card with up to 64GB capacity. *SD card is not included. For additional storage you can save video files to your local PC. The 12 infrared LEDs offer a 30ft night vision range. 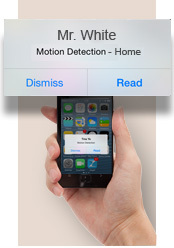 Stream safely with an encrypted video feed. Get new firmware upgrades via Zsight or the MeShare Web client. Network protocols TCP/IP, UDP, DNS/ DDNS, SMTP, UPNP, DHCP, HTTP, FTP, P2P, etc.